We have always saved money in the bank because we felt it was safer and because it earned some interest, even though it wasn’t very much in an ordinary savings bank account. There were other advantages, until recently, if you blocked your money in fixed deposits. Indeed, before Narendra Modi dropped his D Bomb, the rate of interest offered by banks on long-term fixed deposits was as high as 10.5 per cent for senior citizens. It of course was a matter of concern to read that banks had been lending our hard-earned money to rogues and rascals like Vijay Mallya, Ramalinga Raju and other chors who have gotten away with stealing it. 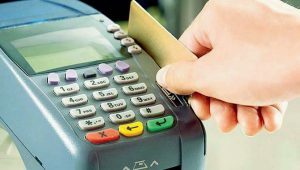 MALFUNCTION: Often, debit and credit cards do not function because there is no internet connectivity, and in the case of Goa there is frequent interruption in the power supply. WE NEED to understand how modern banks work. 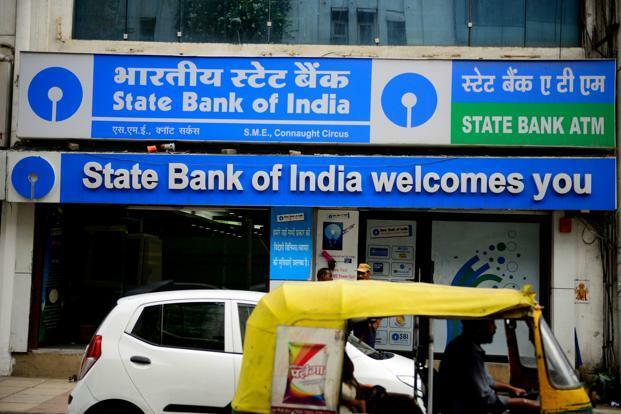 They collect deposits from us, out of which they lend more than 70-80 per cent to borrowers depending on the prevailing Reserve Bank of India (RBI) loan rate. Banks pay an interest ranging from four per cent to a maximum of 7.5 per cent at present. They lend at rates ranging between 11 per cent and 20 per cent. Borrowers could include ordinary citizens looking for a personal loan for a two-wheeler, car or house. It could also be to industry to invest in producing goods and services and create employment. It is the difference between lending and borrowing rates which gives the bank its profit. The percentage of loans given to individuals as personal loans is less than five per cent of the banks’ total lending. Another 10-15 per cent is lent by banks to farmers to purchase their needs such as seeds or fertilisers. The bulk of deposits are lent to big industrialists who are close friends of politicians in power irrespective of the ruling party. In previous issues of the Goan Observer, we have shown how the richest and biggest companies in India are the worst defaulters when it comes to repaying loans. And unlike individuals who banks harass and hire goondas to collect repayment of debts, the big defaulters are lent more money to enable them to repay part of their earlier loans. The cycle goes on until the banks have no money to return the deposits that you and I gave them to keep safe. THE primary reason why banks continue to survive despite huge quantities of non-performing assets – or loans that will not and cannot be repaid – is because those who have deposited money do not want to take it back at the same time. But if our banks continue to make huge losses as most public sector banks are doing now, the aam aadmi who keeps them alive will lose faith in them and there will be a run to the bank. All those who deposited money will want it back. Since banks hold only 30 per cent or less of the money they collected from depositors, no bank can return all the money at the same time. When Modi introduced demonetisation and withdrew `1000 and `500 notes from circulation, he also deprived bank depositors of their fundamental right to withdraw their own money. The reason may have been honourable. The excuses offered for the move was that 90 per cent of black money in India was in high value currencies like `500 and `1000. WIN FOR CHINA: Every time you use the digital portal Paytm for online transaction, you are contributing to the revenue of the Chinese company which owns it. It is possible that ahead of the elections in Uttar Pradesh, the largest state in India, and other states like Goa and Punjab, the Bharatiya Janata Party (BJP) did not want other parties to have large quantities of high value notes with which to bribe the voter. From November 9 to December 31, 2016, there were curbs on withdrawals from ATMs or banks. The limit was initially `2000 on withdrawals from ATMs, which was increased to `4000 later. You could only exchange `2000 of old currency notes for new ones. You could not even withdraw more than `24000 a week. Often you could not even withdraw this because the government was unable to print and replenish the money it had withdrawn. So money was being rationed by the banks. TO HIDE the mismanagement of the demonetisation effort and its failure to block black money, the government has been forcing all citizens to go digital. This means making payments only through cheques, demand drafts or transfers to other bank accounts. The government put pressure on citizens to use if not credit, then at least debit cards. The difference between these two is that with a credit card, you can make payments for a maximum of 30 days even if you do not have the required balance in your account. With a debit card, you can spend only as much as you have in your account. 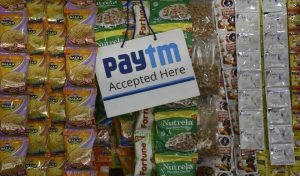 Since less than five per cent of the population of over 1.2 billion have credit or debit cards or are likely to get them, the government encouraged other forms of payment like the public sector-sponsored Rupaya or private initiatives like Paytm. There was also the universal payment scheme where you could transfer money from one bank to another or from a bank to a merchant even without a credit or a debit card. In some cases you could transfer money even without a bank account. But the problem is, all forms of electronic payments depend on internet connectivity. Banks need to verify your identity before releasing payments. The minimum requirement is an Aadhaar card, through which your fingerprint is sufficient for identification, as the data collected from more than 900 million Indians has been stored in a central server so anyone can verify your identify. But this carries with it the risk of people stealing confidential data like your credit card details and even your pin which is exclusive to you. Samir Kelekar, a well-known ethical hacker and security expert, assures me that the Aadhaar data bank can even be hacked by a 10-year-old. NARENDRA Modi is forcing everyone to substitute cash transactions with digital ones. Ironically, in the 70s and the 80s, the majority of public sector banks were opposed to computers. ICICI, HDFC and Axis Bank have now put a limit on the number of free cash transactions that depositors can make. 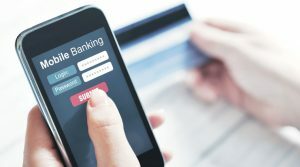 NO PAY: Even the government sponsored online payment platform which enables transfer through mobile phones depends on handsets with internet connectivity. On an average, for more than four deposits or withdrawals of money from your account, you will have to pay a minimum of `150, or `5 per thousand for deposits or withdrawals. This is to force you to switch to digital payments. The problem is when you make digital payments and something goes wrong, you are at the mercy of not the banks or the credit card companies, but the call centres to whom most of the work has been outsourced. From my own personal bitter experience, I can tell you why people don’t want to go digital. At the end of November, I spent two nights at a hotel in Margao. I decided to pay the bill of about `20,000 with my credit card. If on three successive attempts you do not enter your correct pin number, the card gets blocked automatically. Since I suffer from peripheral nerves, I punched the wrong number more than three times, and my card was blocked. I promptly informed my bank what had happened and blocked all transactions on the card. Despite this, I was shocked to discover that my card was being misused by hackers. Even though I had not been able to use it for transactions in January because it was blocked, I received a bill of `16000 plus from the card company. I had taken the precaution of stopping the auto-debit instructions to the branch where I had my account. WORSE still, in February I received a bill of `17000 plus, which included the interest on the unpaid amount of the previous month. Since I had not undertaken any expenditure of `16000, I refused to pay the interest. The bank manager was very cooperative and re-assured me that I would have to wait until the end of February as there was a 40-day period for resolving disputes and reversing any wrong billing. To my shock, on March 1, I received a message from Facebook, saying that I had entered a transaction for `3,000 plus and that my balance had dropped from `5,000 plus to less than `2,000. On the same day I also received another message saying that I had incurred an expenditure of another `300 on the credit card I had surrendered more than two months ago. I also received a message from credit card division of the bank informing me that the wrong billing had been rectified and that my total bills on the credit card I had surrendered was only `400. I have promptly issued a cheque to the bank for `400 to bury the ghost of my credit card once and for all. The bank’s credit card division terrorised me for more than three months. At least I had the knowledge and ability to fight, and the support of the branch manager of Corporation Bank at Tonca, Panjim who helped me to solve the problem. I am still unsure if it has been solved and I am afraid that I will get fresh messages over unpaid dues and penal interest. The biggest nightmare of a credit card even if it is offered to you on a platter is that if you do not pay on time, they charge an interest of three per cent per month, or 36 per cent a year. If you take the penal interest, the damage is 120 per cent or more a year. The worst part is that every time the credit card company sends you a bill, they give you the option to pay the entire amount or just 10 per cent. If your bill is `40,000, you can pay either `4,000 or the entire amount. But if you pay only `4,000, you will be paying interest at the rate of 40 to 120 per cent on the unpaid amount. So now you know why it is better to stick to cash instead of going digital.